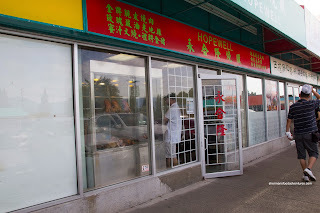 For the longest time, in an act of sheer convenience, I would get my Chinese BBQ from T&T (specifically the Renfrew & 1st location). Not the worst stuff one could get, but certainly there is much better for sometimes less money. This time around, I found a parking spot on Renfrew (which meant I didn't have to suffer the parking hell downstairs), meaning I would walk right past Hopewell BBQ. Having tried their stuff before, I decided to finally blog about it and thus, staying away from the T&T BBQ. 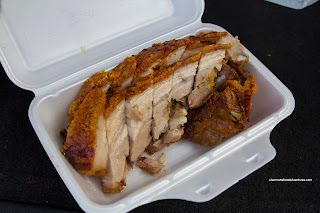 Their Roast Pork has some similarities to HK BBQ Master as they only use the pork belly and ribs rather than the entire pig. This way, the employment of this meat ensures more flavour, fattier and moist meat and the most important thing of all, a better crackling. However, we found the crackling to be quite different than HK BBQ Master. Rather than a light and airy crunchiness, we got a more firm crunch. As for the meat, it was juicy, nicely seasoned and dripping with fat - wonderful. 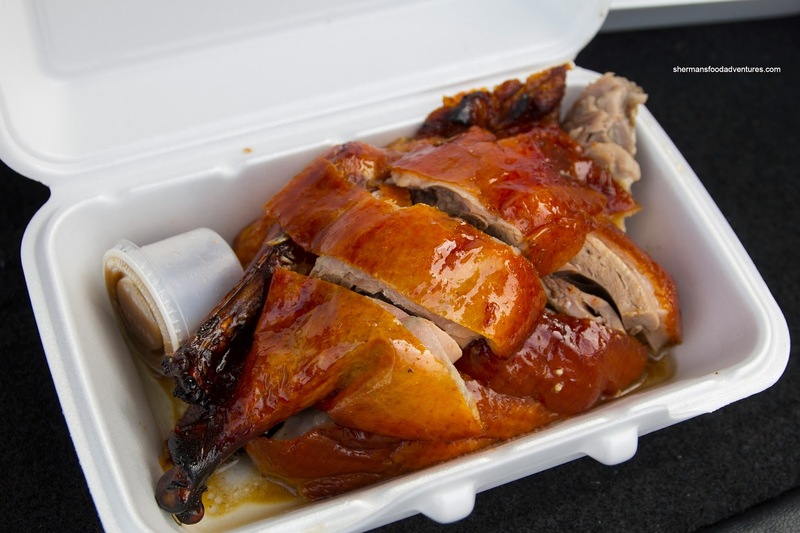 The BBQ Duck had a nice hue with a well-rendered skin. The meat itself was really moist including the breast. It wasn't overseasoned, but it wasn't lacking in flavour either from the star anise and five spice. 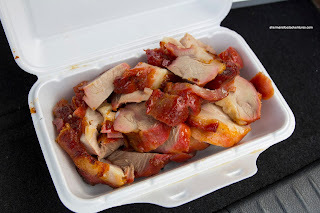 The piece of BBQ Pork we got was on the leaner side so it wasn't exactly fatty and moist. However, it wasn't dry either and had a decent bark with a slight sweetness.This one pales in comparison to HK BBQ Master as there was a lack of charring on the outside and lack of intense flavours. However, with all thing considered, the stuff at Hopewell is definitely above-average and one of the better ones in Vancouver.